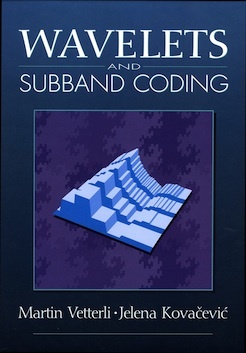 First published in 1995, Wavelets and Subband Coding offered a unified view of the exciting field of wavelets and their discrete-time cousins, filter banks, or subband coding. The book developed the theory in both continuous and discrete time, and presented important applications. During the past decade, it filled a useful need in explaining a new view of signal processing based on flexible time-frequency analysis and its applications. The book was originally published by Prentice Hall. The authors bought back the copyright and distribute the book freely on this website.